Above: Dale Jackson shares a video of his son Colin, who suffers from a severe form of Autism, saying his first word after being given cannabis oil. Jackson and other parents have lobbied tirelessly to expand access to low THC oil in Georgia. 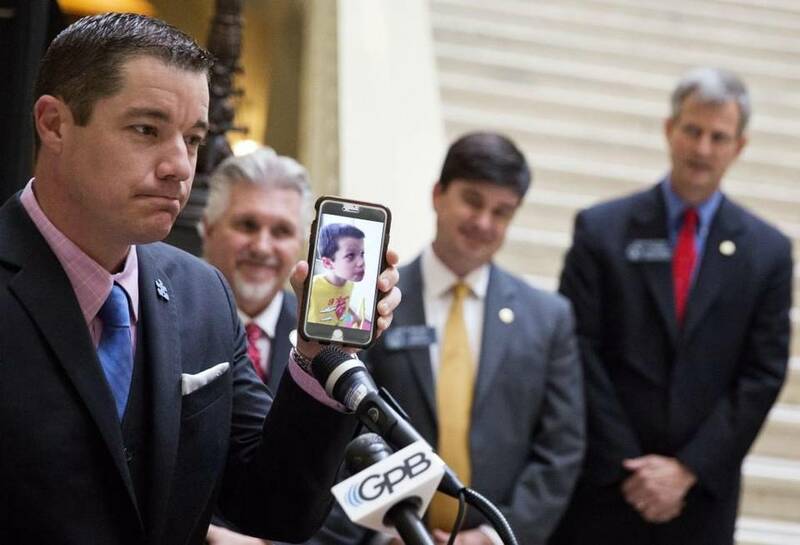 Georgia lawmakers managed to pass a meaningful expansion of the two year-old cannabis oil law by adding several new qualifying conditions and making it easier for some patients with a current qualifying condition to receive certification, although in-state cultivation is still off the table (for now). As a result of the efforts of representative Allen Peake (R- Macon) and other members of the General Assembly, the Georgia House of Representatives voted on Tuesday to adopt the House substitute for Senate Bill 16 by a 167-4 vote. It then passed in the Senate by a 45-6 vote on the last day of the 2017 legislative session and it now moves to Governor Deal for his signature. Removes the one-year residency requirement. Allows certification for patients that are in either an inpatient or outpatient hospice program, regardless of diagnosis. Requires semi-annual reporting by recommending physicians to include the level of THC in the oil the patient has been taking. 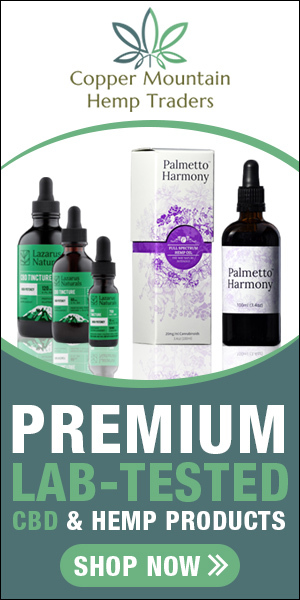 Provides reciprocity for qualified patients from other states that allow the patient to possess low THC oil. Many Georgia activists were unhappy with the fact that the expansion did not include a mechanism for in-state cannabis cultivation or cannabis oil production, as well as the exclusion of conditions like PTSD and Fibromyalgia. Rep. Peake offered a separate resolution earlier in the legislative session (HR 36) that would have given Georgia voters a say on the issue of in-state cultivation but it was defeated in the House. “While this bill does not go as far as many of us would like, it does add six more conditions to the already successful program in our current law and this will allow many more hurting Georgians to benefit from medical cannabis oil as an option,” Peake told the AJC on Tuesday. I would ask the same question. Lupus is truly a life-altering disease. I have Lupus also on Benlysta infutions as well as 4 other oral medications. Why do they always overlook us with lupus. Do they not care of the amount of pain we struggle with day by day. Not to mention a the stomach and nausea. It’s just not right!!!! I also have fubromialgia, depression, anxiety, panic attacks, arthritis, degenerative disc disease in lower back and neck, and severe sleep apnea. I take pain meds on top of meds taken for all my other health issues. There’s not a day without pain and this Oil could be the answer to a lot of people. I totally agree my friend! I’ve suffered from this disease for 12 years! Arthritis now has begun along with did you know to disc in my lower back, and bone spurs! And don’t forget the handfuls of medication we have to take. But Lupus is overlooked so many times. Because with a lot of cases you physically look to be healthy, but your aren’t by any means. Because they can’t see anything physical you are not sick in their eyes. In the same boat as you. Diagnosed with fibromyalgia and was taking Trileptal X 2 max dosage of Cymbalta X 2 and Sulindac X 2 a day. Also have had 3 lumbar surgeries with rods and screws and 3 cervical with cages. Ended up with servere nerve damage in legs. Now I’m also diagnosed with rotator cuff impingement on both sides. I’ve been on SS disability since 2002 and everyone knows how hard it is to survive month to month. I also take around 180 Norco a month for the pain. Long story short trying to manage on SS and most prescription plans charge a fortune for some of the medications I couldn’t afford my Cymbalta so I just did without. I went through the worst withdrawal. I didn’t know what was happening to me and I just wanted to die. I never took anymore Cymbalta because it was so addicting and I never knew if I could afford to purchase. When our politicians work so hard to stop us receiving what works, it’s a shame. My one wish is for the constituaints who live in their areas would wake up and vote them out. I pray that our governor is voted out. I have had crohns disease for over 30 years. I also suffer PTSD and painful bladder disease, INTERSTITIAL CYSTITIS. I have marketplace insurance and have gone untreated forIC and CROHNS for over a year. Now, I finally found a Dr IN MY STATE that can provide me with weekly catheter bladder installations… it took 13 months. During that time I found vaping cannabis oil (low THC and CBDs didn’t help much, but the higher concentrate oils, indica dominant (50/50 – 75/25) hybrids relieved more of my pain, gave me an appetite, helped my panic issues amid anxiety. Vaping doesn’t heat up the oils, therefore doesn’t combust to produce vapor, when inhaled took away MOST of my pain. Prob is, living in Georgia, it’ll be years, if ever b4 its legal to buy here. I was taking 270 opiate pills monthly, along with meds for spasms, sleep, anxiety… total of about 600 pills monthly. I can smoke a 1 gram cartridge of cannabis oil daily, and when I CAN find it, I don’t NEED more than 25% of my prescribed (dangerous) meds. BIG PHARMACEUTICALS ARE KEEPING POLITICIANS FROM LEGALIZING THIS POWERFUL, NON CANCEROUS CAUSING, RELAXING PLANT THAT REACT TO ACTUAL CARNIVOROUS IN OUR BODIES. SOUNDS LIKE THE PERFECT PLANT. WELL, THIS REPUBLICAN IS GOING TO FIGHT AND I’M VOTING FOR WHOMEVER SHOWS COMPASSION FOR PEOPLE IN MY SITUATION. THE GOVT IS KEEPING US FROM ACCESSING A PLANT THAT HAS PROVEN IN CALI AND CO TO NOT ONLY HEMP COMMUNITY, BUT CRIME HAS DROPPED AND TAX MONEY IS ENORMOUS. IT CAN BE VAPED, EATEN, PUT IN BALMS AND THERE IS PROOF OF ITS EFFECTIVENESS… FUNNY, HALF THE POLITICIANS PROBABLY OWN MAJORITY OF THE ANTI BIOLOGIC DRUGS THAT DESTROY ENTIRE IMMUNE SYSTEM, WHICH ISN’T WORKING AND SO DANGEROUS AFTER 10 YEARS…. LOOK AT THE RESEARCH OUT THERE. I’VE BERN SURGERY FREE SINCE I FOUND CANNABIS. I COULD GO ON, BUT I’LL END BY SAYING, IT’S DAMN SURE LESS DANGEROUS THAN ALCOHOL OR CIGARETTES… EDUCATE B4 YOU DISCRIMINATE PEOPLE. Same for lupus, cancer, seizures and a plethora of other medical ailments… and it’s natural, doesn’t cause other disorders and cheaper than pharmaceuticals. Time to end prohibition AGAIN! I agree completely. I also have Lupus, Fibromyalgia and Sjogren’s Syndrome. combine that with the fact that I’m highly allergic to all NASID’s and have both genetic histories of cancer and addiction running in my family. I would rather not be dependent on opioids or risk treatments with cancer causing drugs when marijuana has proven anti-inflammatory properties that could help me more then any of these drugs. Even more so when strains can be developed that can increase energy, focus and relieve pain, without the damaging side effects or addiction. Come on people, what are we doing here?? I agree, Jandon! Any disease that is debilitating should be included. I have R.A. and am in horrible pain all the time, but can’t take any pain meds due to the treatment I am under. The CBD oil would be so very beneficial in aiding me to have somewhat of a normal life. I’ve been treated for fibromyalgia for 6 years, now hydrocodone 6 times a day, gabapentin tramadol cymbalta ambien. – I really worry for the long term effects on my liver and kidneys. Besides all of that medicine does not substantially alleviate the pain – it makes it bearable compared to no treatment. I’m a fed employee so now even CBD oil is not even a choice at all. We need to stop calling it “low thc marijuana”. 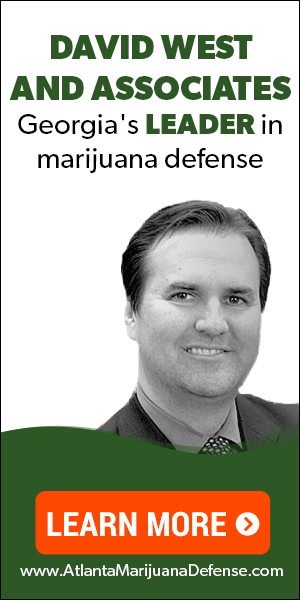 The opposition argument is “it’s still marajuana” which is ludicrous. You should not have to prove that another type of medicine does not work or detail the side effects the drug companies already know this weather or not they disclose it or not. I do think they should make it legal for chronic pain. I have had 2 back surgery’s and am on several pain meds that are causing several unwanted side effects, this stuff is worse than heroin. Cannabis is all natural and will not kill you like these meds will. I know its all about the money but you are playing with peoples lives and people can only take so much before they take things into their own hands. Put away the reefers madness movie this is 2017 we have proof that cannibis will cure some ailments and help with others such as pain. Please help us who really need it, you know in your heart that its better for the community than alcohol . Please do what’s right. Thank you. I couldn’t agree more. I too am on several pain meds for a bad back. Last night I was awake more than asleep. Hurting so bad.I spend more nights in my recliner than our bed. Something has got to give. You go to the pain clinic each month, and they want to draw blood to see if any alcohol has been in your system. I understand the importance of not mixing the two, but with chronic pain, what do you do? My issues will never get better. Doc says each day will be better than tomorrow. Multiple surgeries are coming, probably sooner than later as the injections aren’t working. If this oil helps, why not have it available to people? I’m 53, and take about 8 pills every morning. From blood pressure, to depression, PTSD, cholesterol, and of course two types of pain meds, which I take multiple times a day. It can’t be good on my body. I’ve put on about 40 pounds and there’s no getting it off. Todd I feel for you, I do almost the same thing day in and day out. My Dr agree’s that can ibis however its taken could be helpful for a lot of his patients but he is more afraid of the government so he doesn’t want his name associated with this. What a shame people have to suffer needlessly. At least do it on a case by case basis to help those who are worse off then me. My dr hasn’t specifically said that, but I really sense his reluctance, even for opiates. He’s extremely careful to follow the law and documentation. I am in the same boat you are but I take oxycodone 30 mg four times a day and other medicines also they need to legalize it specially for us that’s been suffering for 10 years or longer I really don’t understand other than it has to be about the money sad money before life. BC WE DON’T STAND UP FOR OURSELVES…. YOU CAN’T EXPECT OTHERS WILL DO IT. WRITE EVERY MEMBER OF YOUR STATE’S AND FED GOVT. IF THEY KNOW YOUR VOTE IS GOING TO COUNT BC WE HAVE TO STAND UP.. WE ARE THE MAJORITY WHO SAY THEY’D VOTE GOT MEDICAL AND RECREATIONAL USE OF CANNABIS….21 YEARS AND UP WITH NO WORRIES OF PROSECUTION… THEY’LL VOTE OUR WAY OF WE MAKE ENOUGH NOISE. OTHERWISE WE CONTINUE TO BE SLAVES TO OPIATES AND OTHER DANGEROUS MEDS. Pharmaceutical Cos pay big money to politicians to keep it that way and promote it as a “demon drug” I’d MUCH rather take even a higher thc OIL than a fist full of opiates every day – subsidized by drug companies and insurance. It’s always about the money. I am interested in this for s friend who has a rare blood disease. . So Ulcerative Colitis is still not going to be approved? I have lupus,rheumatoid arthritis, and fibromyalgia. I was hoping that one would make the list. I have arthrogryposis multiplex congenita. I was born with this very rare birth defect. Im in severe pain 24 7. Why is there a limit? I think it should be for those that have severe medical issues period. I’d like to see chronic pain conditions added, rheumatoid arthritis, paoriatic arthritis, Fibromyalgia and depression and panic attacks included. I can’t have the biologics, my immune system can’t handle them. I refuse pain meds. The more you take, the more you need. I refuse to add pain pill addiction to everything else. I have Systemic Lupus, Sjogrens Disease, Diverticulosis, Fibromyalgia, Vasculitis, Migraines, Anxiety, High Blood pressure, kidney disease, asthma, IBS, osteoarthritis, protruding discs in my neck, severe shoulder pain, insomnia.. I am allergic to most traditional treatments. Steroids, narcotics, I can’t take them. Methotrexate and other immuonosuppressant medications usually make me sick for 2-3 days of my week. I live with swollen ankles, wrists, hands, all kinds of pain. These legal medications are dangerous on kidney and liver function. Not to mention some of them damage your never fibers and cause mental problems. Why cant cbd and medical thc just be approved in GA? Or at least allow the people with the option to try it out throught their doctor. My options are limited. I need something new and natural to ensure the longevity of my life. I have a husband and 3 kids. 2 macaws and 2 dogs. A beautiful life and family, but trully my daily pain makes my world just miserable even being surrounded with all the love and beauty I have. Please GA at least give us the option. We shouldn’t have to be about to die to get relif without becoming a drug addict or killing our other organs for the sake of pharmaceutical companies. And may I add Severe Menapausal symptoms and Spondilosys cervical. Contact your state level representatives, and tell them your stories! I am not saying that THC oil or other forms of medical cannibis would help my wife, but I would like for it to be an option to the different medications and issues she has to deal with. It is wearing me out as her caretaker to help her with all of her issues (fibro, pcos, PA, kidney issues and such). I am developing several pain issues myself having to help her handle hers. Peake needs our help pushing the envelope, and if the old white millionaires in state government wont help, the lets get them out of office. I agree. would also find web sites that have petitions to send to all state and federal offices. It can’t do anything but help ! NORML played a major role in getting just these laws passed. I have facial neuropathy from an injury, diabetes, PTSD and depression and fibromyalgia. I have been on opioids for 7 years now and I so want to try the medical oil and get off the drugs. Please help us. I am sick and tired of politicians NOT doing the right thing for people. I have chronic pancreatitis caused by the congenital defect pancreas divisum. I am terrified of becoming addicted to opioids. I take zofran for nausea, which works well. I take gabapentin and wear the lowest dose fentanyl patch available to control the pain. I have a low dose opioid for breakthrough pain, but will not take it. The bottle has expired. I do everything my gastroenterologist advises. I don’t drink alcohol(never was a drinker). I limit my fat intake to 10 grams per day. For unknown reasons, I can’t eat during the day. If I do, the nausea and pain increase. I eat a lean cuisine for dinner. When I have a flare up, I can’t even tolerate water. It’s then I go to the hospital for fluids, I’ve zofran, and pain medication. My condition causes malabsorption, malnutrition, and weight loss. It’s made me afraid to eat. I’ve read quite a bit about medical cannibas for chronic pancreatitis. The literature tells me it not only relieves pain, it acts also as an anti inflammatory. Pancreatitis is an inflammation of the pancreas. I pray that Jesus will help me deal with this illness and remain positive. With His help I am positive most of the time. I am praying that Georgia will add Chronic Pancreatitis to its list of approved conditions. I want to throw away the patches because I know how dangerous they can be. Amen, Nora! I pray that GA helps us all! God bless you. I don’t understand how they can exclude so many other sick people as myself I am terminally ill I have to take dialysis treatment three days a week I stayed nauseated sick throwing up can’t eat can barely do my treatments and I only getting worse I need this CBD oil can anyone tell me where I get a card or how I get card maybe just maybe a doctor will take me??? For 6 years I have suffered from severe, chronic Interstitial cystitis/Painful Bladder Syndrome, Costochondritis, Fibromyalgia, Degenerative Disc Disease, multiple herniated discs,severe General Anxiety Disorder, Social Anxiety Disorder, Depression, Bipolar,possible neuropathy and currently going through tests for more chronic pain conditions. Medications:MORPINE45mg/day, HYDROCODONE10/325mg2/day, NEURONTIN800mg3/day,XANAX, TIZANIDINE,VISTARIL, TRAZODONE, and others prn. Why can’t they see how harmful all of these chemical meds are to my body? Please, legalize! If using cannabis could take away even one of my dangerous meds, wouldn’t anyone want that? I do! Taking my medications could kill me at anytime and the longer I’m on them will hurt my body. Don’t get me wrong, I’m grateful meds help but they also have very serious side effects and mask other serious issues. I’m tired. Tired of the pain. Most of all, I’m tired of feeling so helpless. Being this sick I should be able to chose to use a natural and safe plant. It’s my body. I say the hell with them all . Like Marie said I am tired of fighting. It works any canibis does if your in that much pain I say the hell with them there is no reason we should suffer. Where do we send in the forms I don’t see any address. That will need to be done by/through your doctor. We have a page here that explains the registration process. If you need a doctor please check out our healthcare provider directory on this page. Isin’t it discrimination for other states to make it legal for med,or rec. Use and other states to ban it. Maybe their should be a class action lawsuit started for the ones who need it bad,I know I don’t know how to do something like that. Why make it available for ppl in chronic pain that’s too much like right! We qualify, but have no legal way to get it. Cannot risk a felony bringing it in across state lines. Useless law as written. Completely frustrated. Can’t afford to move to another state at the moment- so please don’t bring that up. I suffer from severe disc diseasse, and now have a brain tumor,his they are decreasing maybe taking my pain meds.what do I do? I have suffered from fibromyalgia for over 15 years now and the meds I was on didn’t help they just made me feel like a zombie. My husband extracts the oils himself and gives it to me. I am now able to enjoy life again. Legal or not i will continue to use it. Please stop putting these folks in office, they are not going to help you. They could care less about your health as long as they can pad their pockets. Please stop voting for these republicans Ga. I suffer from lyme disease and have a whole myriad of symptoms causing extreme physical and mental pain. This disease should be included! Illegal use of cannabis has practically cured me when I had access. Please support this if you are part of the fight to treat all us people whose diseases are excluded! I suffer from Fibromyalgia and degerative disk disease. It needs to include these and chronic pain.I would rather use natural substance than narcotic drugs. Although passing this laweek has helped some But has left out Many other acute diagnosis. Also What use is this law if you have No means to buy it WithOut breaking the law. Dumbass lawmakers. Just useless. Fibromyalgia, Ulcerative colitis, IBS , Crohn s, arthritis, HBP, Panic attack’s, anxiety, peripheral neuropathy severe, and more with a long list of meds and endless Dr cost. In college someone suggested marijuana. Anxiety, High BP, IBS, Fibrosis diag at Emory subsided. I have strong hopes I could throw away many many meds and get off stigma of shameful pain meds and maybe live again. I’ve suffered long enough. I have three herniated discs in my cervical spine, a plastic disc in my lower back, a torn Labrum in my right shoulder and arthritis all over. I worked my tail off in sports and work and this is how the DEA treats me. I have been on opiates for two years. The surgery failed and I am going cold turkey on stopping because of the potential for addiction. Cannabis would be the perfect replacement. I came here from Az, where medicinal marijuana is legal. Ga is way behind. Pot has been proven to be useful medicinally. Also, recreationaly you don’t have headaches, queezie stomach or a shriveled liver the next morning. Something is wrong with out lawmakers. It’s all the big pharma lobbyists keeping natural medication from the people. When I was 10 years of age, I had Polio which affected by spine. Now I suffer from chronic pain from severe scoliosis. Once a year I visit Colorado for a few weeks and purchase cannabis salve and get almost instant relief. Then only have to use it approximately once or twice a week, but, I can’t bring it across state lines. The rest of the year is,I’m sitting or lying down to relieve the pain. thus the muscles tend to begin an atrophy condition. I think if everyone would get on “Twitter” and tweet it to President Trump, we all just might get some feed back, on New qualified Chronic illnesses being added to the list of being able to get the Cannabis oil treatment. Let’s start Tweeting!!!! I suffer from Neurofibromatosis, Musculoskeletal, Carpal Tunnel, Chronic Migraines, and Partial On-Set Seizures. They really don’t feel the pain people go through. I believe that this could help someone like me. I pray for those you go though these types of disabilities. So speechless, right here on solid grounds of America, we’ve been made to suffer and suffer and suffer….. unfortunately, no hope. America suppose to be one of the greatest countries to have a superb healthcare system…. seriously…and we end up on the dead road list. PLEASE HELP US, PLEASE PLEASE PLEASE ALLOW ME (US) TO REAGIN OUR HAPPINESS AND MOSTLY OUR NORMAL LIFE BACK. Thank you kindly. I have Lupus and Fibromyalgia, Polyarthritis, Raynaulds syndrome and other disorders that have been linked with the autoimmune diseases. I am in severe pain every day, I had to take a early retirement from my teaching job. I’m miserable, chronic pain patients need MMJ cards too!